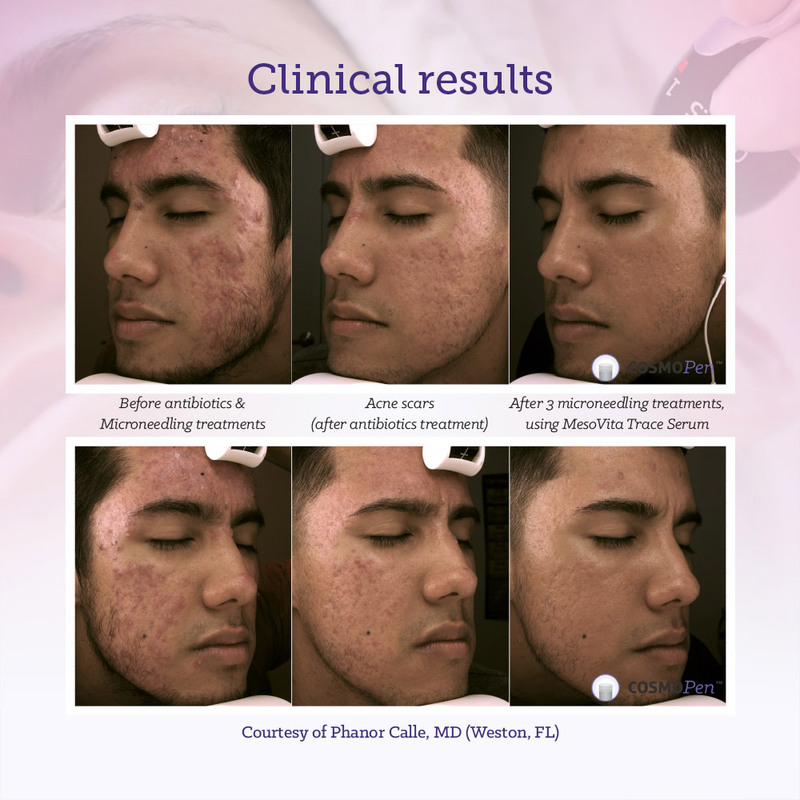 Microneedling with CosmoPen is designed to stimulate the skin’s natural ability to produce new collagen (Collagen Induction Technique or CIT) which will then bring about healthier skin. 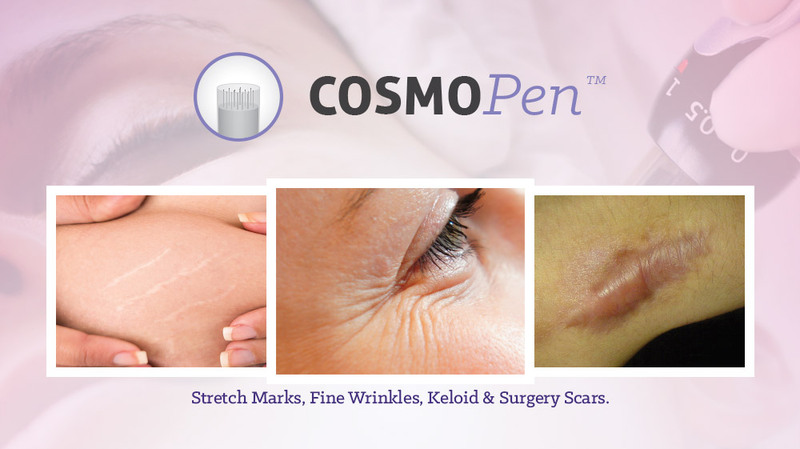 The “micro-channels” that are created by applying the CosmoPen device over the skin allows for specific topical solutions to penetrate into the deeper layers of the skin for optimal rejuvenation results. Different solutions are used to get the results desired. They may include: vitamin solutions, anti-acne, hair growth, stem cell derived serum, or even PRP (Platelet Rich Plasma). In most cases, a topical anesthetic is applied to the skin prior to treatment to reduce discomfort and minimize pain. The downtime is minimal with most people only experiencing redness for 24-48 hours. Most people will say it feels like a slight sunburn during that time. You should not incur any major side effects and you should be able to resume your normal activities right after treatment. Most people notice some improvement after the first treatment. More significant results will occur after 2-4 treatments spaced 2-6 weeks apart depending on what is being treated. The production of new collagen takes place over time. Your skin will continue to improve after treatment over the next 6-12 months. Results vary for each patient. Microneedling with CosmoPen can be combined with Botox and dermal fillers. It is best to do them at separate appointments to ensure optimal results of each. It is recommended to do the microneedling either 1-2 days before or at least 4 days after and Botox or dermal filler treatment.